a. There is no such thing as chemical free. Everything is made up of chemicals – some are naturally found in the environment, and some are man-made. 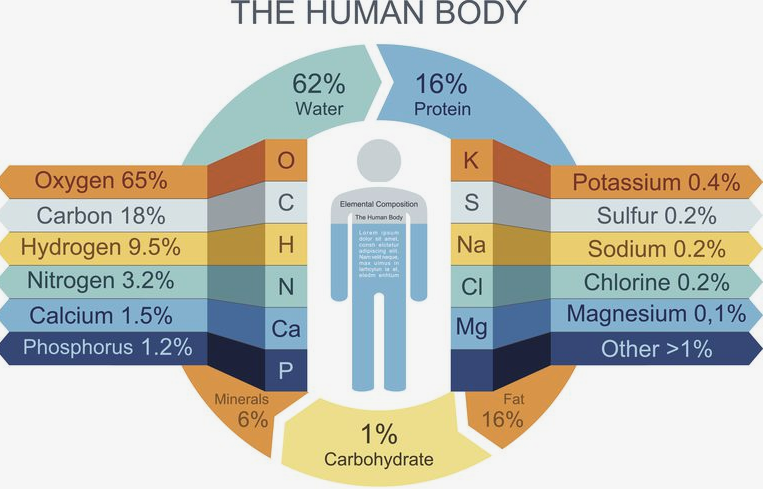 Water is a chemical, the air is a mixture of chemicals, as is your body as shown below. Anything that uses the term ‘chemical free’ isn’t real science. The list of poisonous substances in the natural world is endless. Think venomous snakes, tarantulas, poison ivy, arsenic, ricin, not to mention all the virus and bacteria species that do not have your best interest at heart. Its true that man has also made its share of nasty chemicals, such as chemical weapons, but nature has officially made the worst. Five out of the seven deadliest toxins known to man are natural. Conversely, there are lots of awesome manmade chemicals that make our lives safer and better on a daily basis: such as antidotes to poisons, medicines and vaccines for diseases, fertilisers which allow crops to grow in nutrient-poor soils, and many more. 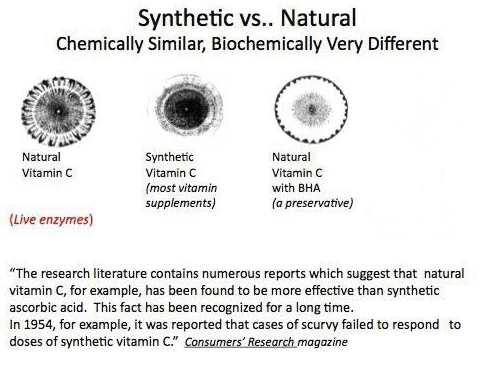 Blurring the lines further are chemicals that are found both in nature and made by man. An example is Vitamin C, which is found in a number of natural foods and made in industrial quantities by the pharmaceutical and food industries. There is absolutely no difference between the natural and man-made versions in such cases. Though pseudoscience will try to make you believe differently, as below. Mainstream media often tend to fumble this one, leading to unfounded sensationalist ‘science’ headlines. If two trends happen over the same time period and seem like they might be connected, it’s a natural tendency to try to link these. For example, if bikini sales start soaring at the same time as sunblock sales do (correlation) it’s tempting to assume that the increased bikini sales are leading to increased sunblock sales (causation). However there could be a third factor that it is affecting both of these at the same time, for example elevating temperatures, or a national holiday period. Thus bikini sales and sunblock sales would be correlated, but not actually causing each other. Correlation studies point to interesting areas of potential research, but by themselves they mean nothing. Science isn’t about finding correlation, assuming that one of those factors must be influencing the other and coming up with opinions why that would be the case. If a correlation is found, good science would involve testing the potential causes for that correlation. Such a study would normally include a hypothesis to explain the correlation, predictions based on this hypothesis, and testing of these predictions. The keyword here is testing. The more testing is involved in the research, the better the science behind it is. d. No pharmaceutical drug is 100% safe, and the pharmaceutical industry has never claimed this. When drugs are developed, it is the risk-benefit ratio that is taken into account – does the drug give enough benefit to outweigh the risks? For instance, chemotherapy drugs are known to have a number of terrible side effects (such as hair falling out and weakened immune systems), but they cure or reduce the spread of cancers, allowing a patient who would otherwise die to live. The benefit (staying alive) outweighs the risk (hair loss, weakened immune system). 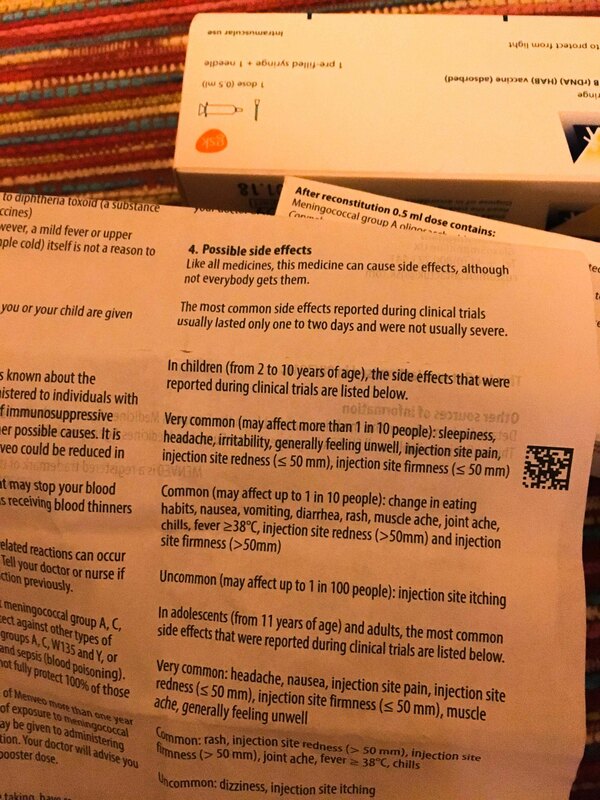 These risks though would never be considered acceptable for a daily painkiller such as paracetamol, as the benefit obtained here is much smaller and doesn’t compensate. Many pseudoscience articles will take advantage of these risks by claiming that drugs are dangerous and ‘big pharma’ is trying to hide their dangers. But every pharmaceutical drug is sold with a leaflet in layman’s language, listing all the drug’s possible side effects and the likelihood of developing them. It’s a legal requirement. Ultimately if you take just one thing from this post, it should be this: read everything with a skeptical eye. Anyone can post whatever they like online, without any obligation to report the truth. Unfortunately this isn’t limited to social media, and other media outlets, such as newspapers and television, can follow similar patterns.